One great way to stretch your marketing budget is to repurpose your white paper in new formats. As you know, I believe a white paper should be foundational content with the best research you can find, the most compelling logic you can develop, and the most persuasive arguments you can make. If you go to all that effort to publish a white paper, why just park it on your website? Sure, any well-done white paper will generate results. But you can gain a lot more—for little added cost and effort—by repurposing. Repurposing means recycling or reusing. 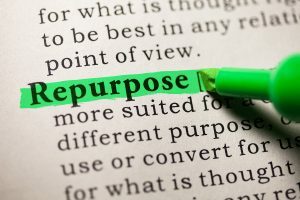 More specifically, repurposing means to recycle B2B content in different formats for different audiences to access in different ways at different times. This works for one simple reason: Different people prefer different mediums. Notice what’s not on this list: videos. Yes, you can repurpose a white paper into a video. But that’s quite costly and complicated, especially if you’ve never done it before. And it’s dubious how much decision-makers in complex B2B sales really value video as an information source. For the same cost, and much less risk, you can create all the other items on this list. Now here’s some details on the formats I recommend most. Companies still publish press releases today. Of course, the traditional audience is for journalists and editors who cover your space. But there are new audiences today, such as bloggers interested in your company. They find press releases a quick way to find accurate information on products and companies. Another new audience for press releases: web crawlers for the search engines. If everything else is equal, a B2B website with press releases will rate higher in Google than a site without any. For more details on writing press releases, see this article that explains how. And if you need help, check out our affordable fees for repurposing. Most companies blog once about their new white paper, and leave it at that. But did you know that you can create between 3 and 9 blog posts from any good white paper? And you can do it quickly, using much of the same text extracted and compressed from your white paper? And then you can link all those blog posts into a series, with a call to action to download the full white paper? For more details, see this article that explains how. And if you need help, check our our affordable fees for repurposing. You can create a slide deck from a good white paper without any further research or rewriting. 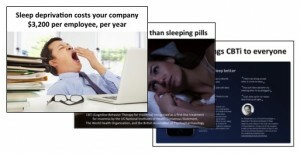 All you need is some inexpensive stock photography and some visual skill to put together attractive slides. We do that all the time for our workshops. Your sales team can show it to prospects during face-to-face meetings or tele-conferences. You can post that to slideshare sites. Then you can use it to deliver a free webinar. You can record that webinar to run unattended on your website or at a trade show. You can send that slide deck to your channel partners. Including speaker’s notes will help them deliver a consistent message… instead of making it up as they go along. That’s 5 great ways to use a slide deck: 5 powerful channels to reach prospects that you wouldn’t have without repurposing. For more details, see this article that explains how. And if you need a hand with a slide deck, check out our repurposing fees. Many people would like to do something worthwhile during that time. Perhaps listen to a podcast relevant to their industry or their role. Why not give them an audio version of your white paper? After all, audio is far simpler and less costly to produce than video, and far less demanding to access. A prospect can listen to audio while they’re commuting, at the gym, or enjoying a hobby like gardening. In fact, the market for audiobooks is surging ahead, while e-books and printed books sag. More audio books are produced every year now, and the annual world market is valued at $3.5 billion. Why not do more with your marketing dollars than the other guys? Why not “up your game” and run rings around them with repurposing! Click here to see our cost-effective fees for repurposing.